Congrats on using the word flibbertygibbit in your post. As for learning to drive, it is a rite of passage for you both. I was actually relieved when my daughter got her license. I was tired of schlepping her around. Yes, it will be nice to have another driver in the family, logistically speaking. I'll try to focus on that. My daughter is fifteen. Will turn 16 in July. I went through the same apprehension with my son. But it is a necessary skill and a right of passage. We teach them the best we can and let go. I totally agree that it's necessary, but isn't it strange how something you had fifteen years notice about can still sneak up on you? 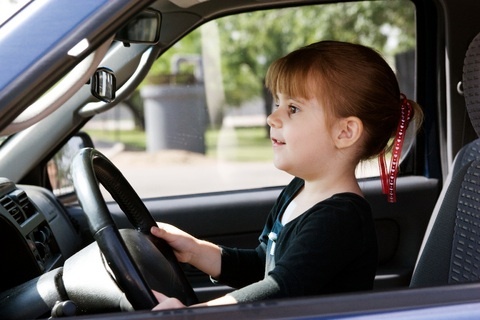 We wish to teach them to drive responsibly, but they are so young that they cannot possibly comprehend how terrifying the driving rules are. And we cannot comprehend that they just might okay. I know she's a capable young woman. It's the other drivers I worry about! I don't have children so I can't outright sympathize but my mom had the hardest time with my husband and I moving out when we were 23. I thought it was beyond time... I was married! She cried a lot. In fact, after we stay for a visit, it bothers her that we leave. I'm the only one of her kids moved out, that may have something to do with it. Mothering is hard. It's strange in that, if you're doing it right, they lose their dependence on you and learn to stand alone.